Put on your boots and shoot for glory! But not the normal way. This time, the boots go on your fingertips – and the glorious goal is just a flick away! Is your finger fast enough to speed right across the pitch and get past your opponent, while defending your own goal? Can you finger-kick and score? It’s the cool new way to play. Try your hand at it! 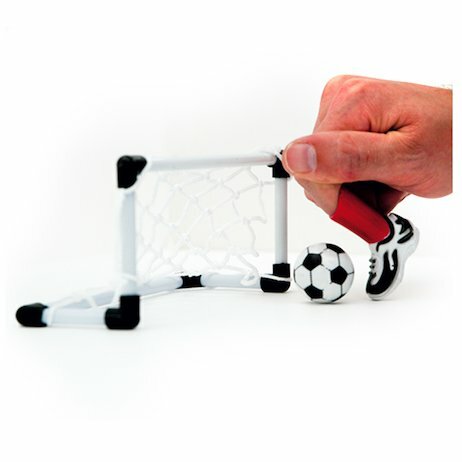 Kit contains two mini goals, a mini football, and two boots to wear on your fingers as you shoot to score!